Another successful event at Trade Days. 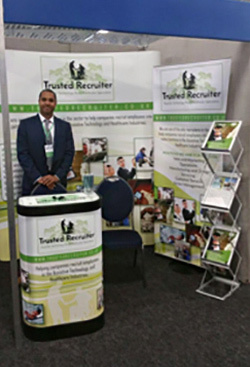 Trusted Recruiter had another successful event at Trade Days in October. Being the only recruiters exhibiting at the show, we met some new clients, got familiar with some of the new products on show and ran a how to recruit top talent for your business seminar. So far this year we have been at Rise4Disability Maidstone (exhibitors), Naidex (visitors) and Trade Days (exhibitors and speakers) We will continue to attend event and conferences within the industry in 2018.